Salzburg Cathedral in Salzburg, Austria. 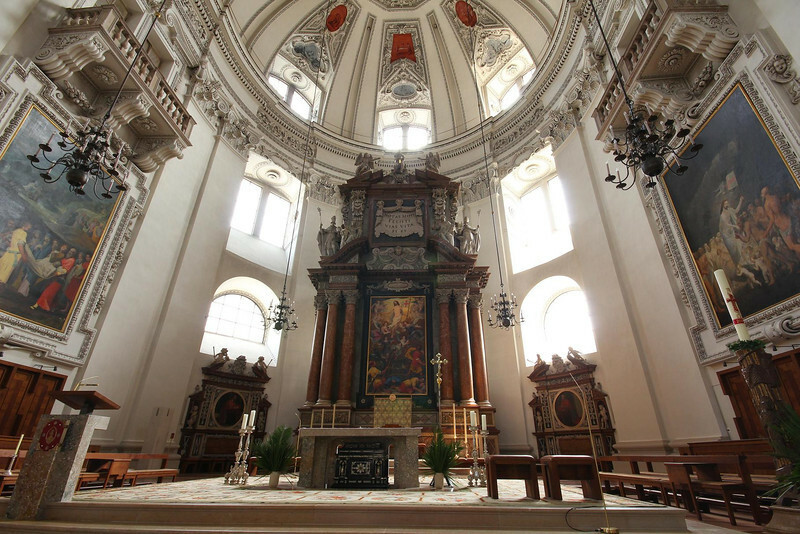 Mozart was baptized here, was the organist for several years, and performed some of his famous works here for the first time. "Coronation Mass" and some other works of his were written for this Cathedral.